...something went off in my little brain and I just had to make this! Cooking through depression sounds like the sort of thing you might find in the self help section at the local bookstore, but it's actually something I'm attempting. 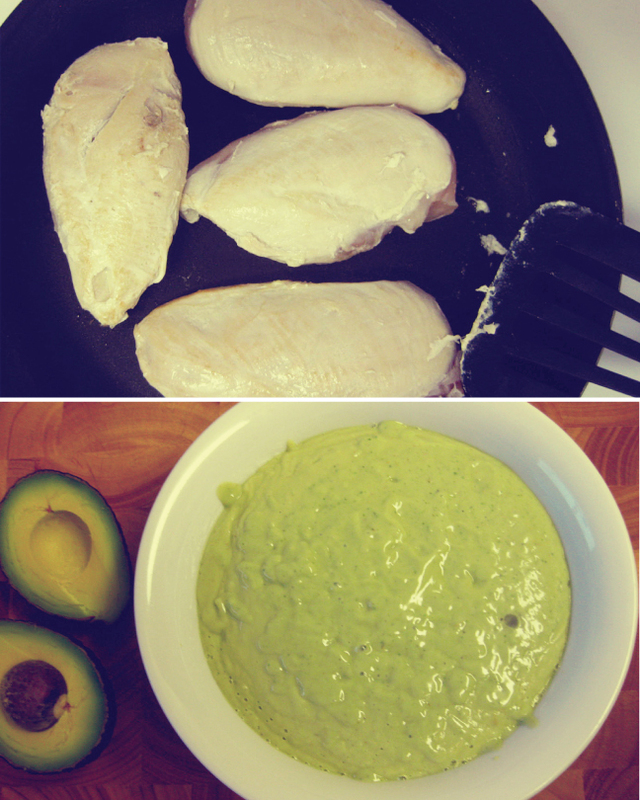 Creating yummy and healthy(ish) foods for the soul, mind, and stomach. Hubs laughed (in a playful, you might actually be crazy but that makes me love you all the more, kind of way) and then counted his lucky stars that I had finally decided to grace our new kitchen with some sort of love. I'm pretty excited too! Using a blender or food processor, puree the first 11 ingredients until smooth. Separate the sauce in half. 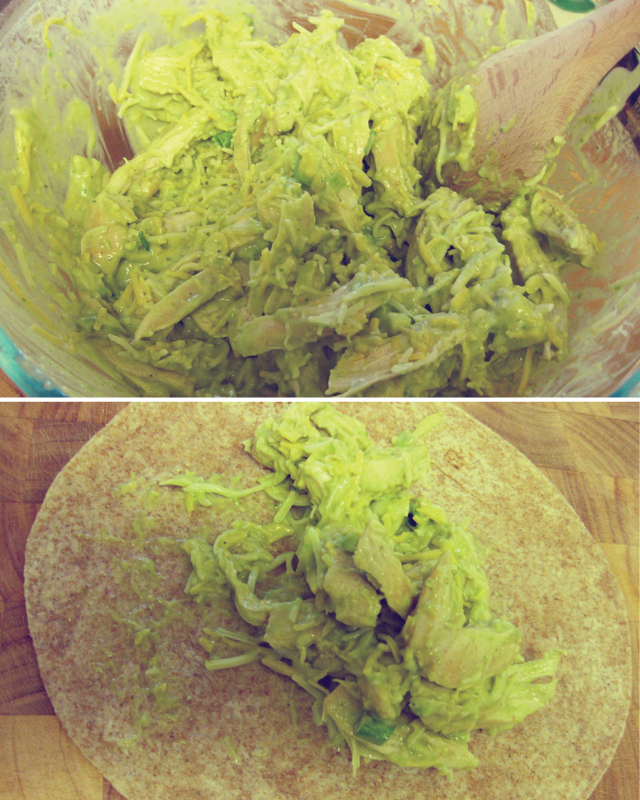 Mix in the chicken, green onions, diced avocados, and cheese to one half. Make sure to mix well. 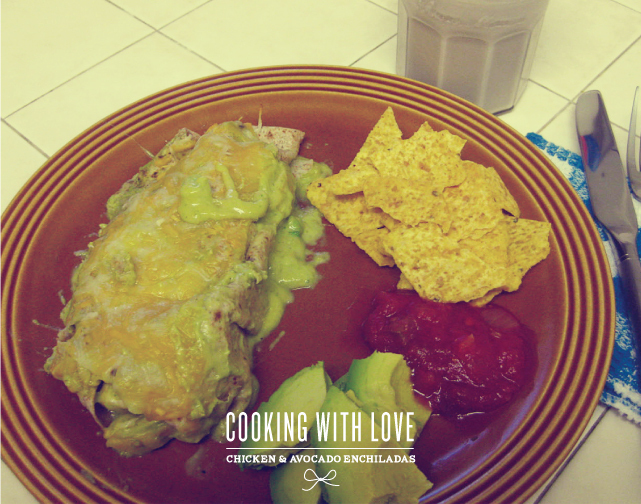 Divide the chicken and avocado mixture between the 8 tortillas and wrap them up nice! Coat the bottom of the baking dish you are using with the other half of the sauce. Feel free to use more than one baking dish if they don't all fit (I had to) and also aluminum foil works but remember to build little walls to prevent leakage. 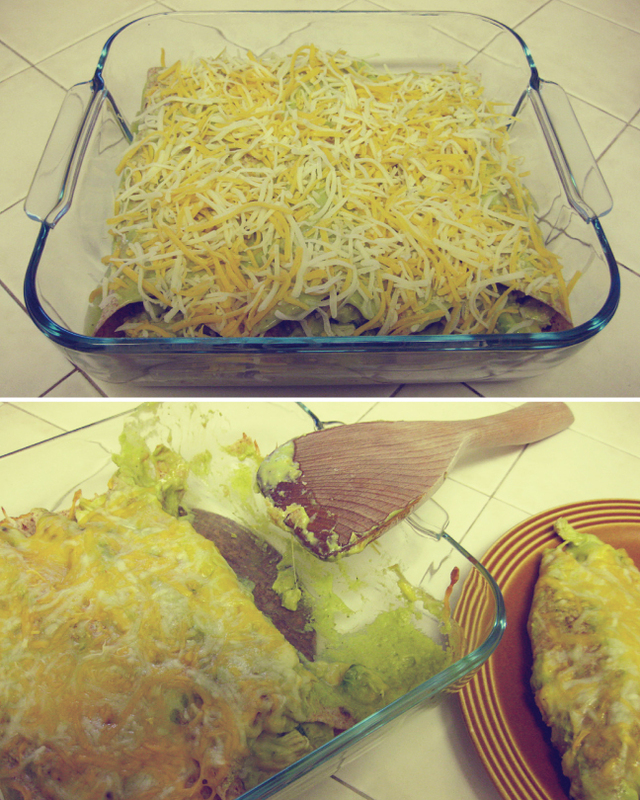 Place the filled tortillas on the baking dish(es) and top with remaining sauce and cheese. Bake at 350 degrees for 15-20 minutes or until the cheese has melted and the exposed tortilla pieces are slightly browned. 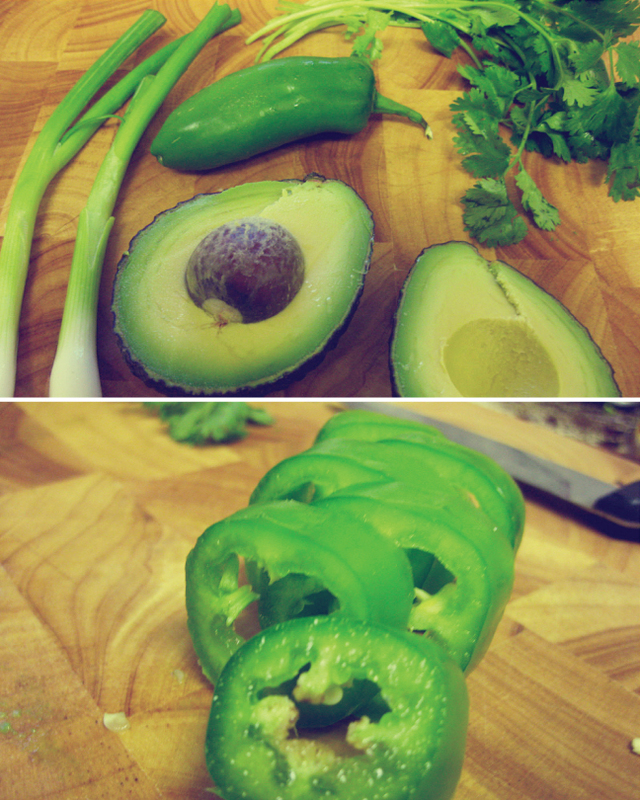 Serve with sliced avocados (can't get enough! ), chips, and salsa... enjoy!